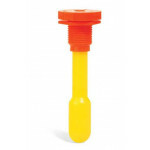 Drum Funnels & Accessories from New Pig make pouring and draining of liquids neat and easy. 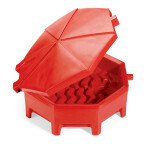 PIG Poly Drum Funnels cover the entire drum top and minimize splashes and drips for clean, easy draining and pouring. 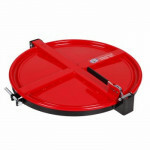 Drum accessories, such as a Pop-Up Drum Fill Gauge prevents overfilled drums that can cause a slippery mess for employees in the workplace.